Are You Covered? 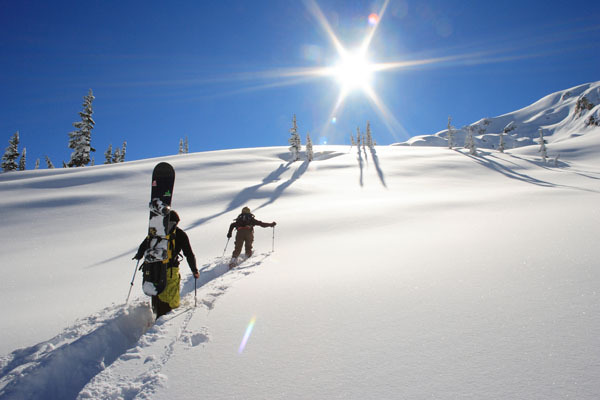 | Backcountry Lodges of B.C. Are You Covered? | Backcountry Lodges of B.C. The backcountry beckons! Perhaps your guests are rock climbing, upgrading skills in a course or hiking the Alpine. As a backcountry enthusiast they’re prepared and probably have several back up plans. Those plans should include travel medical insurance and evacuation coverage. Backcountry activities such as ice climbing, mountaineering, canyoneering, or backcountry skiing are classified as high risk sport activities and may not be covered by insurance. How can you ensure your guests have coverage? As a broker with access to all carriers, we know the policies and how the various carriers will interpret each of these activities. We can guarantee coverage for these adventures at the lowest possible cost available in Canada. For travellers practicing these sports as professionals the market becomes even tighter! This is valuable for individuals already employed in the industry and upgrading skills. Be sure course fees and your own personal adventures are insured!